A Valentine Project Tutorial Special just for you! My project features the Painted With Love Specialty Designer Series Paper and the gold mini tinsel trim, to give your project just the right amount of bling. The tutorial features step by step instructions with over the shoulder pictures of multiple steps along the way so even a novice card maker can follow along and be successful. Normally my project tutorials sell for $9.95, but I’m offering this tutorial at a 50% discount because 1) it’s almost Valentines Day, and 2) I wanted to share the love with you so you can share the love with your loved ones! That’s a lot of love going around! Order the valentine’s project tutorial now! Just click on this button and you can safely and securely pay with PayPal and you’ll immediately get your Be Mine Valentine project tutorial PDF so you can begin making your cards right away. Do you need any supplies? You can get them right here. Remember as you are shopping that you will earn a free Sale-A-Bration item with every $50 of product you order thru March 31, 2018. 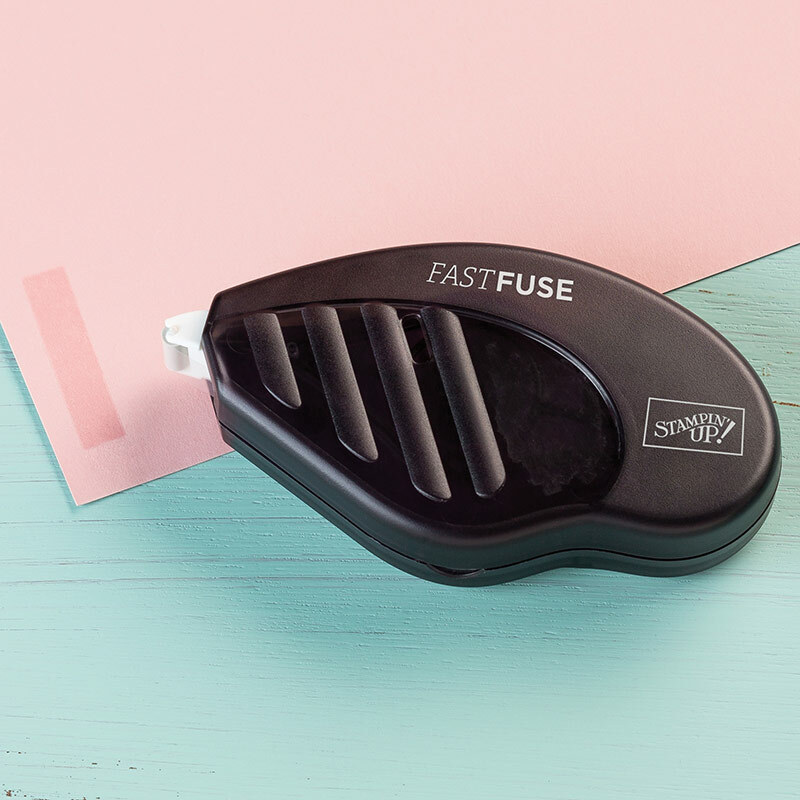 From February 8 -12, 2018 you can take advantage of the Fast Fuse Buy 1 Get 2 Refills Free promotion! Sweet right? Even better, when you order a Fast Fuse, you’ll get 2 refills free, AND your purchase will go towards your Sale-A-Bration earnings! Even sweeter! Don’t miss out; click the Buy Now button now and get your half-priced Valentine Project tutorial now.